Following its success last year at the cinema box office, this dazzling production, with award winning Broadway cast, returns to cinemas around the UK for one night on 7th May. With the gorgeous music and lyrics of George Gershwin and Ira Gershwin (including the classic hits 'S Wonderful and I Got Rhythm), book by Craig Lucas and direction and choreography by Christopher Wheeldon, this breathtakingly beautiful new musical is inspired by the Oscar® winning MGM film and tells the impassioned story of discovering love in the 'City of Light' in 1945. 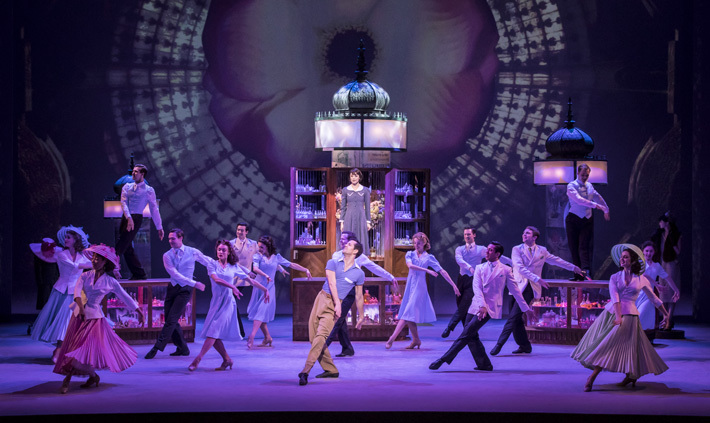 To find out more about An American in Paris and your local screening cinema, visit here. To be in with a chance of winning one of twelve pairs of tickets to see An American in Paris on May 7, simply answer the question below. If the question is not visible, please log in or register and return to this page.